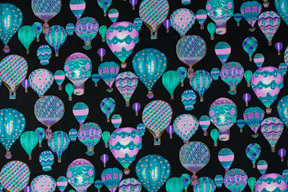 Fanciful and elegant hot air balloon print in shades of purple and teal on 100% cotton fabric, 45″ width. A great resource for all your crafting ideas! 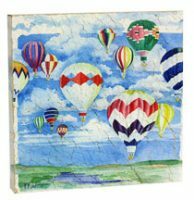 Ideal for starting your own DIY projects: placemats, curtains, pillows and more! Price is per yard. Sold by the full yard only.